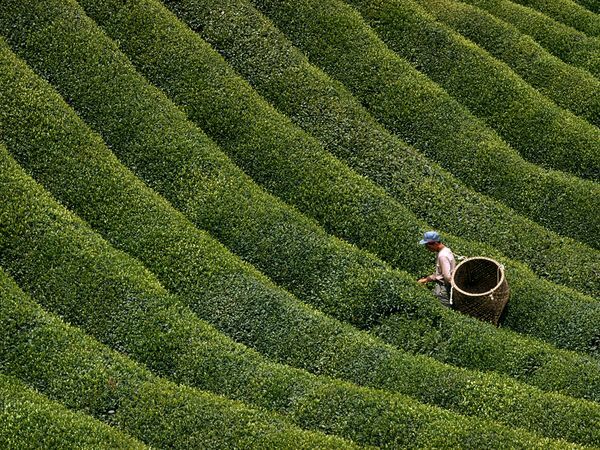 A Japanese tea farmer picks leaves in a verdant field in central Japan’s mountainous Nara Prefecture. Tea has a long history in Japan but was first brought to the islands from China. deepsouthkitsune: And the winner for the most interesting town map is, Kawakami village in southern Nara! Nice one.